At first I found a free pattern at Ravelry Treat bag by Frankie Brown that looked very nice but I decided to go with my own pattern. 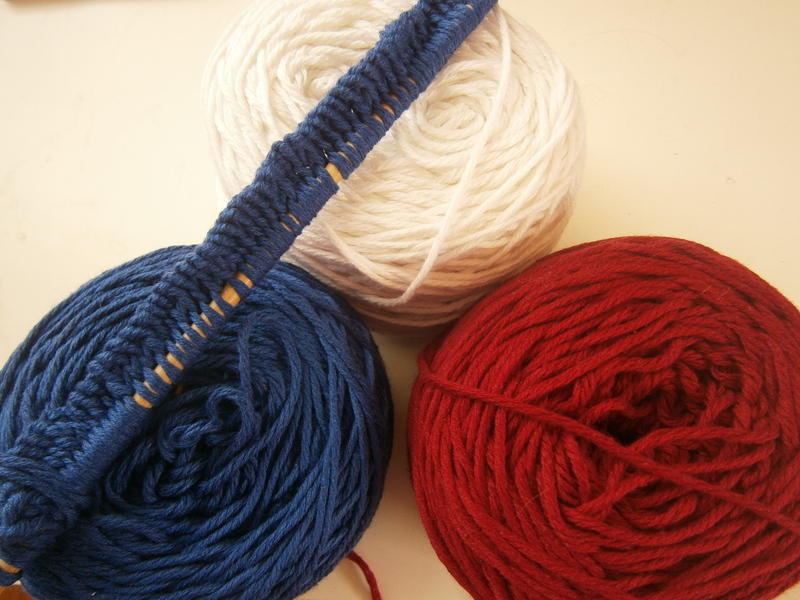 I will be using Cascade yarns in Navy blue only or a combination of blue, white and red. 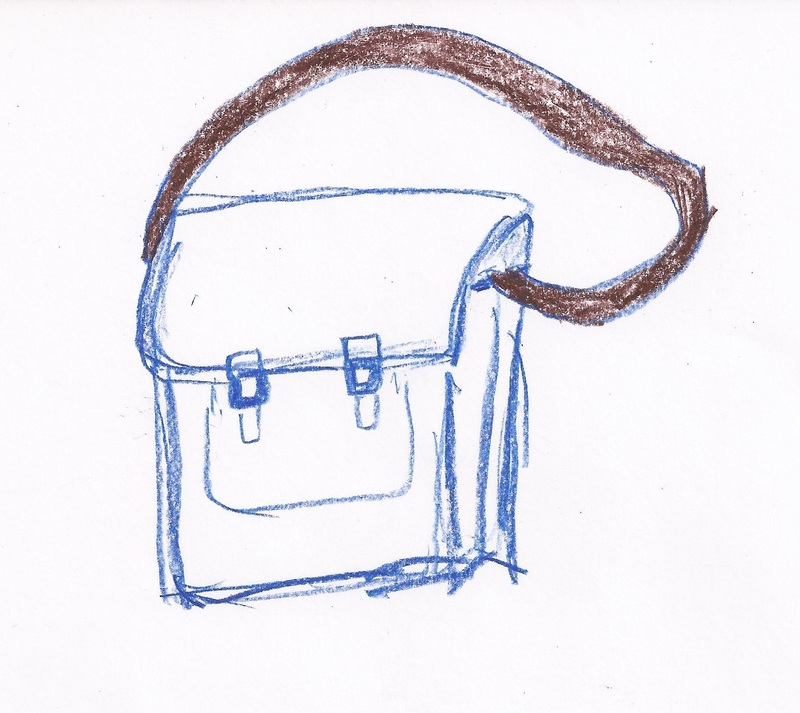 I don’t know how yet but you can get an idea to what I’d want my bag to look like (I am no drawing genius but you get the main idea): front pocket, leather handle. blue body. This bag is going to be so cool! I can feel it in my bones. I will keep you all updated on the progress made. I can’t wait to see your bag. I’ve been looking for the perfect “french Cartable for a while now without any luck. I envision something vintage, the leather very soft from weariness… If you happen to run into something that fits that description let me know. 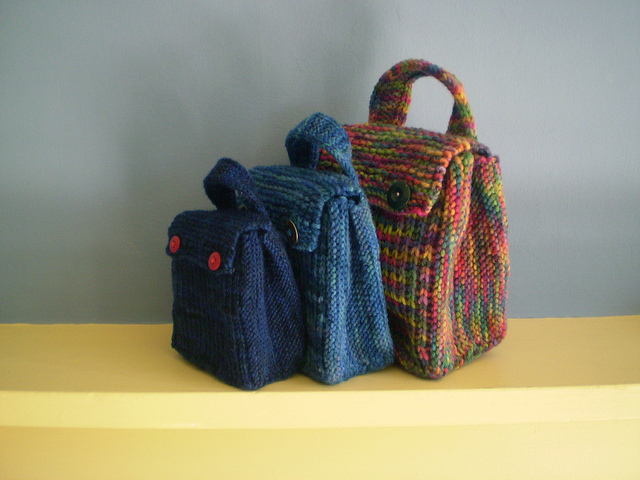 Also, are you making your bag with the intent of selling or is it just for you? Great idea! I love the bags! Thank you! check out my blog post it’s not over yet to see where it’s at (for now). Hopefully this week I will have time to go browsing the Garment District to finish it.